Take a guided hike to learn all about the spectacular Avenue of the Giants in Humboldt Redwoods State Park – the old-growth redwoods, their history, the plants beneath their crowns, and wildlife. At The Redwood Riverwalk Hotel in Fortuna, we are excited to announce a new partnership to offer our guests Pacific Outfitters Guided Hiking Adventures, including the half-day EcoTour: Avenue of the Giants. Our team at The Redwood can make all the arrangements for your hiking adventures among the giant redwoods. The EcoTour is divided into two sections, both of which are family-friendly and suitable for all ability levels. 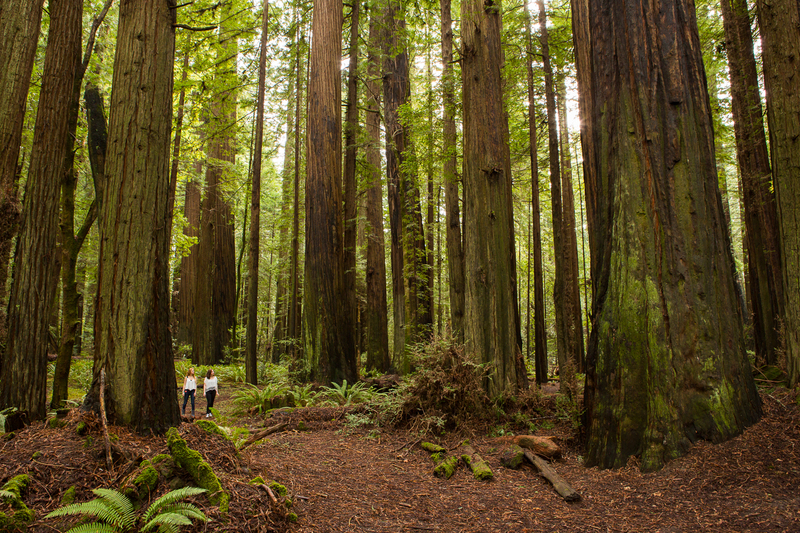 The first, to the Founders Grove, takes the most popular trail in Humboldt Redwoods State Park. It features many varieties of plant life as well as the Founders Tree and the Dyerville Giant. The Founders Tree, dedicated to those who founded ‘Save the Redwoods League’ 100 years ago, once held the title of the world’s tallest tree. Farther along the trail lies the fallen Dyerville Giant, named the ‘Champion Coast Redwood’ until it fell in 1991. The second portion of the EcoTour features the Rockefeller Forest, the largest remaining contiguous old-growth coastal redwood forest in the world. It is one of the most scenic areas in in the Park. Two famous redwoods within the Rockefeller Forest are the fallen Flat Iron Tree and the Giant Tree. The American Forest Association named the Giant Tree as the national champion coast redwood. The Giant earns its name with its height of 363 feet, and a diameter of almost 17 feet. Pacific Outfitters EcoTours include an Adventure Guide and educational materials. When planning your vacation, see the Humboldt Redwoods State Park brochure for an overview and map of the Park. A more detailed source of information about the redwoods, other plant life and wildlife, is the Humboldt Redwoods Interpretive Association website. It also includes a video along the Avenue of the Giants. The Avenue of the Giants EcoTour will pick you up at The Redwood in the morning and return you there in the afternoon. Plan to wear comfortable hiking clothing and hiking shoes, and don’t forget water, snacks, sunscreen, and your camera! Bringing a lunch is optional, and we can help you with that, too! Request lunch-to- go when you check in and we’ll have a sandwich, chips, local apple, sparkling water and a surprise ready for you to take on your hike. 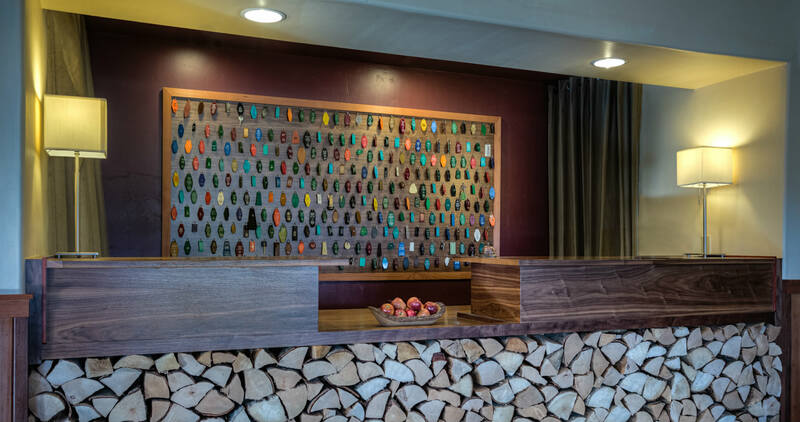 If you plan to explore the North Coast redwoods with outdoor activities like hiking, kayaking, or fishing, The Redwood is the perfect “base camp” for your vacation. In addition to the Avenue of the Giants EcoTour, we can arrange other guided hiking, kayaking, and fishing adventures with Pacific Outfitters. Please call us at 707-725-5500 for additional information and to reserve the details of your adventurous stay, exploring the giant redwoods and the Redwood Coast. This entry was posted in Area Activities, General, Outdoor Activities, Things to do, Uncategorized and tagged Avenue of the Giants, CA redwoods hotel, hiking, Humboldt Redwoods State Park by admin. Bookmark the permalink.